There’s a guy in my neighbourhood (Parkdale) that always has a few vintage bikes for sale. 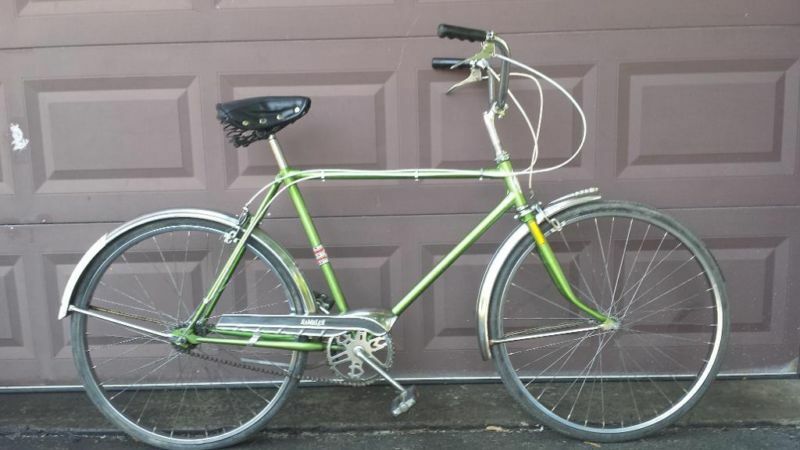 I bought my first Raleigh 3 speed from him a few years ago and he delivered it to my house. He locks them up at the north end of Sorauren Park or sometimes on Roncesvalles. Here’s his latest offering. 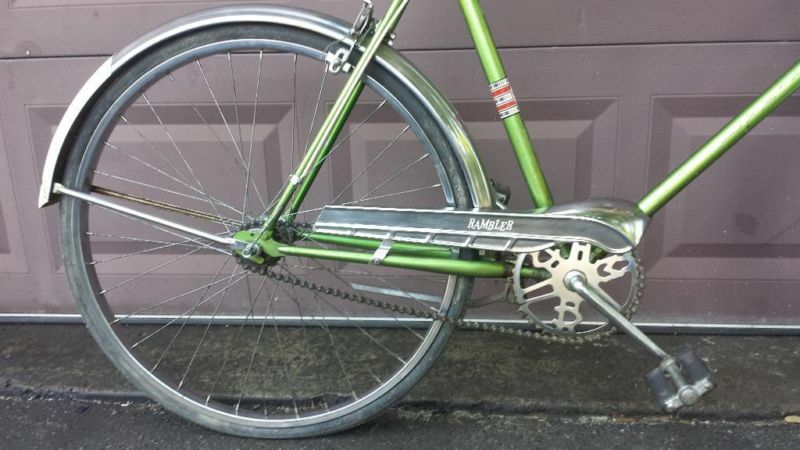 A tall Raleigh Sports 3 Speed.